Lemon pepper has become my new favorite spice in the kitchen… on salads, in breakfast, on chicken… the possibilities are endless. Fresh and easy to find, it is a great spice to use to add some great flavor to any dish. Here, I used it in Traditional Chicken Piccata. In a large saute pan, heat the butter and olive oil over medium heat. Put the flour in a large bowl, and dredge each chicken breast into the flour, covering both sides. Place the floured chicken breasts into the heated saute pan. After 3 minutes (or until the bottom of the chicken starts to brown), flip the chicken breasts and cook another 3 minutes. Remove the chicken from the pan. Add the wine, chicken broth, and lemon juice. Stir a few times, scraping up the browned bits from the bottom of the pan. Put the chicken back in the pan. Cover and let simmer about 15 minutes, until chicken is cooked through. 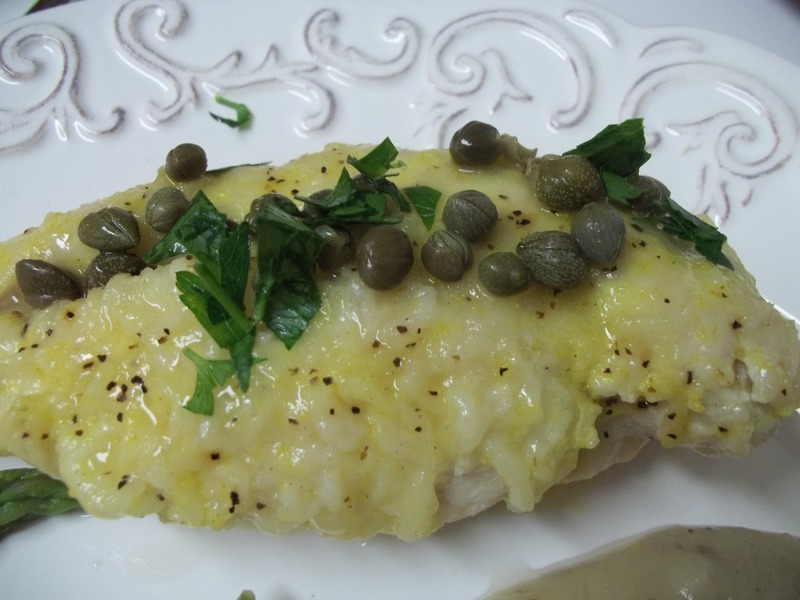 Serve with capers and remaining chopped parsley on top.